How do I Choose the Best Pill Organizer? A pill organizer should be able to handle several different types and sizes of medications. When choosing a pill organizer, it is important to consider the quality of its enclosures. Choose a pill organizer that has a sufficient amount of space. Make sure its closures are sturdy and that it will not deteriorate in a way that presents risks. Also, consider whether children will have access to the container and make your choice accordingly. If you are a frequent traveler and you take multiple medications, you may want to get a pill container that has enough compartments for the length of time you will be traveling. Getting a weekly or monthly pill organizer can allow you to sort all of your medications by the day each time you are packing. 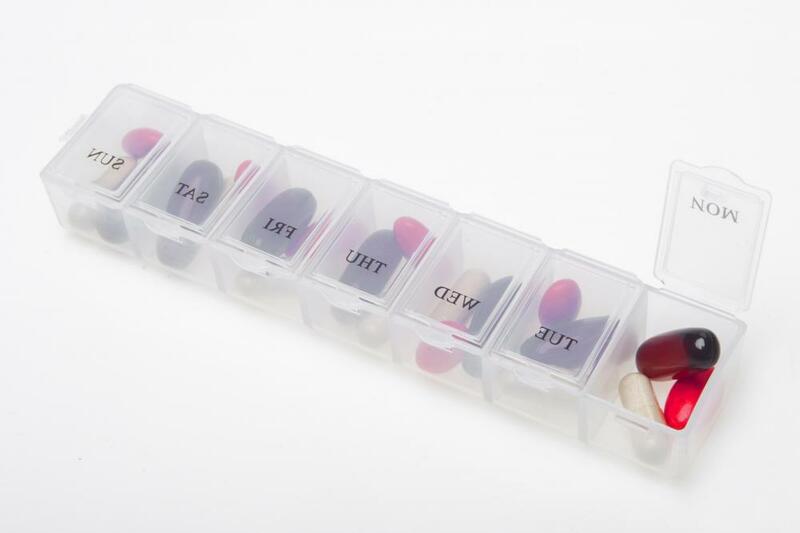 If you do this, you may want to consider getting a second organizer which is smaller that you can use to carry your pills around each day once you reach your destination. If you are required to take your medication with meals, you may find you will often take your pill organizer out while in the company of others. Due to this, you may want to choose one that is discreet and decorative. This is especially true if you tend to conduct business over meals. When you choose a pill organizer, consider the quality of its closures. It should be your goal to keep your medication secure since losses could be problematic. You also want to protect your pills from potentially harmful factors such as moisture. If you are considering a pill organizer that has closures or hinges that seem as if they will not withstand wear and tear, you should choose a different container. Another thing to consider about closures is your ability to open them. If, for example, the mechanism is too small or you are arthritic, you may find yourself needing assistance each time you need to open the container. Before you purchase your pill organizer, test it to make sure you will be able to open it and to securely close it. When you are choosing a pill organizer, assess the quality of the interior. Some pill organizers are made of painted metals, for example. These may rust or the paint may begin to chip or peel, which could interact negatively with the medication or cause health problems. Any organizer that appears as though it will present such risks should be avoided. Prescription medication is usually placed in a child-resistant container for safety reasons. If there is a possibility that children will have access to your pill organizer, you should take similar precautions. This may limit your options because many models of pill organizers are easily opened, even by a small child. How Do I Choose the Best Pill Fob? How do I Choose the Best Earring Organizer? What is a Medicine Chest? How Do I Choose the Best Thread Organizer?